← New Books Are In!!! 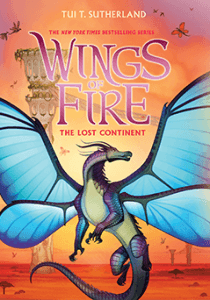 Exciting New Juvenile Fiction Books: Wings of Fire and Amulet! Prepare yourself for a wild adventure as an age old rumour is realised to be true. There are other dragons on the planet, ones who inhabit another continent far away. It turns out that these dragons are very different from the dragons we know in the Wings of Fire series. Do they come in peace? Find out in the latest Wings of Fire book!!!! Click here to check out all of Tui T. Sutherland’s other books! The Amulet series returns with an exciting new mission that siblings, Emily and Navin, must complete to save the planet Alledia from the Shadow Forces. But first, Emily must find a way out of the Void, where she has been held captive by the clutches of the Voice. 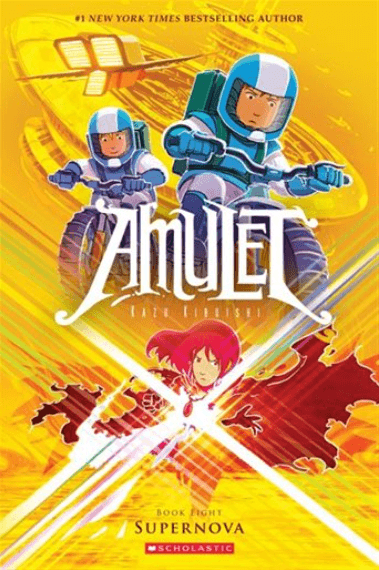 Will Emily gain control of her Amulet in time to help Navin save Alledia?